The Vegas Golden Knights are the best expansion team ever in North American sports. By a lot. Most expansion teams aren’t even decent. Nobody has come close to the Knights’ first-year success. Share The Vegas Golden Knights are the best expansion team ever in North American sports. By a lot. As the Vegas Golden Knights begin the Stanley Cup Final in their first year of existence, it’s worth reflecting on the wild season they’ve had. It’s not wild because Vegas doesn’t have some good players (it does) or because nobody figured hockey could work in a new market (plenty thought it could). It’s wild because teams of the Knights’ age have an almost uniform history of being terrible. This franchise is an epic anomaly not just in hockey, but in the universe of American professional sports. Vegas is better than any NHL expansion team ever. It’s not close. The Golden Knights earned 66.4 percent of all possible points in the regular season, under the league’s policy of two points for a win, one for an overtime or shootout loss. They’re about to play in the Stanley Cup Final after a 12-3 start to the playoffs. Those four 1968 teams all made the playoffs. The Blues even made the Cup Final, before they got swept by the Canadiens. But that was a 12-team league where fully half of the teams were new. Vegas did this as the only team out of 31 without an existing roster. With any kind of deeper context considered, Vegas laps the NHL field. No other sport has had an expansion team close to this good, either. The NFL’s expansion teams have almost all struggled terribly in their first seasons. The high water mark is the Panthers (Carolina, not Florida this time) going 7-9 in 1995. Only two of the teams that joined the league after it took its modern form in 1970 have won a Super Bowl in the 48 years since then. In Major League Baseball, virtually every expansion team has sucked. Underlying analytics suggested that the 1961 Angels were a pretty decent team, but still a sub-.500 one, and in reality, they lost 91 games and weren’t that competitive. And they were the best of them. In the NBA, nobody’s gone .500 as a first-year expansion squad, and everyone except the 1967 Bulls (with a 40.7 win percentage) was outrightly terrible. The WNBA started as an eight-team league, then got as high as 16 and went back to 12. The MLS started with 10 teams and stayed that way for most of a decade, then started adding around a team per year in 2005. 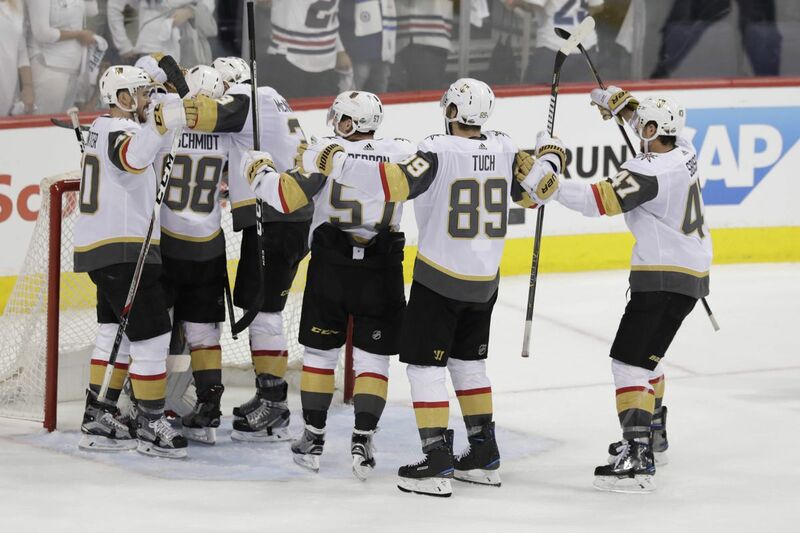 Neither of those leagues had enough teams for any of them to face the kind of established competition the Golden Knights have faced. FiveThirtyEight crunched a lot of cross-sport numbers back in January, and it was obvious then — months before Vegas made this playoff run — that the Knights were the best expansion team in history. They’ve only put more distance between themselves and the field in the months since then, and they could keep pouring it on in the Final. So, expansion teams are supposed to be bad. Why is Vegas good? The NHL gave the Golden Knights a favorable setup in June 2017’s expansion draft, limiting the players other teams could protect and broadening their potential talent pool. The Golden Knights entered a league with a salary cap, giving them the ability to take on other teams’ bad contracts in exchange for more valuable assets. They made a lot of smart trades, using the above two points to their maximal advantage. A bunch of their players had unforeseen career years at the same time. Their coaching staff and front office sprinkled some magical dust on them, or something. Other expansion teams should be inspired by Vegas, to a point. The Knights had a couple of key things going in their favor, obviously. They’ve been an incredible story, and they have probably taught lessons to other leagues that might consider growing in the future. If they want good expansion teams, there’s a roadmap. But the Knights’ roster looked like a wreck immediately after general manager George McPhee drafted it. That they’ve turned out to be this amazing defies any simple explanation. Their success will inspire copycats, but those clubs might find Vegas hard to replicate. We used philosophy to determine whether Damian Lillard’s shot was actually ‘bad’ Paul George said it was a ‘bad shot.’ Philosophy says he’s wrong. Can the Thunder stay patient with Paul George and Russell Westbrook? It’s complicated The Blazers are a case study in why the answer should be yes, but who’s to say things work out that nicely for OKC?